Regular trips to the sauna may reduce the risk of death from heart disease in middle-aged people, a study has found. Between four and seven sauna sessions a week provide the greatest health benefit, according to researchers. Sessions in the sweltering heat are thought to mimic the effects of mild physical exercise – boosting the heart. 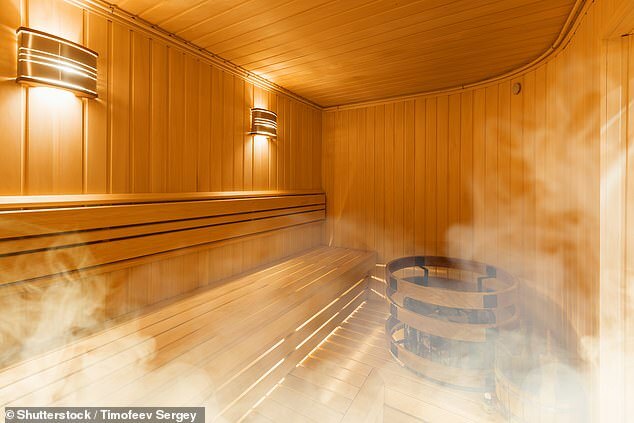 The study in Finland, where going to the sauna is far more common than the UK, investigated links with cardiovascular disease (CVD), which is one of the main causes of death among Britons. Researchers kept track of the sauna habits of 1,688 men and women over-50 and followed up on their health after 15 years. People who attended four to seven sauna sessions a week had around a quarter the chance of heart death compared to those who went to just one, the team found. Professor Jari Laukkanen, of the University of Eastern Finland, said: ‘An important finding of this research is that more regular sauna use is associated with a lower risk of death from CVD in middle-aged to elderly women as well as in men. Deaths from CVD were also found to be lower with time spent in the sauna. People who spent more than 45 minutes a week there accounted for five deaths. This compared with nine for those who spent less than 15 minutes. Saunas are thought to improve the circulation by causing blood vessels to dilate. This improves blood flow and boosts the heart. They may also reduce hardening of the arteries which happens as people grow older and can lead to blood clots which cause a stroke. Saunas are also recommended for people with chronic headaches and musculo-skeletal pain. Studies suggest a hot bath may work in a similar way. The Finnish researchers stressed their findings – published in the BMC Medicine journal – were from just one region and further study would be needed for more general results. 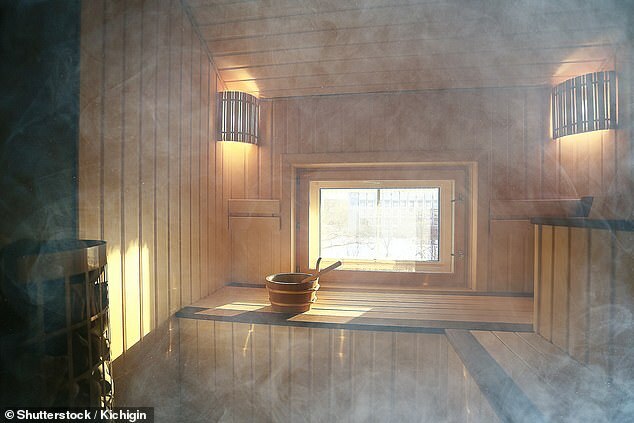 Public health expert Professor Kausik Ray, of Imperial College London, said: ‘This is a 15-year observational study suggesting that among sauna users both frequency and duration of sauna use were associated with survival benefits.